Hello. It's my new account, sorry for my old account getting banned by Scratch Team. 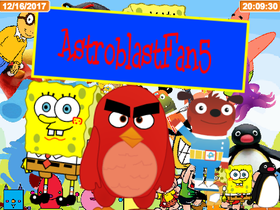 I like Angry Birds Toons and SpongeBob SquarePants. I hate Amona Al Mazyona and Peppa Pig. My BFFs: @alexsacco38, @3BOD12, @robintitan, @Yoohoo513, @look2007isback, @TheSpiderFoundation, @PBS66, @Project_Corruptor, @luisbarretto, @CD20Superness and @TheSplatComedian2016. share your new/old dog for everyone to see!